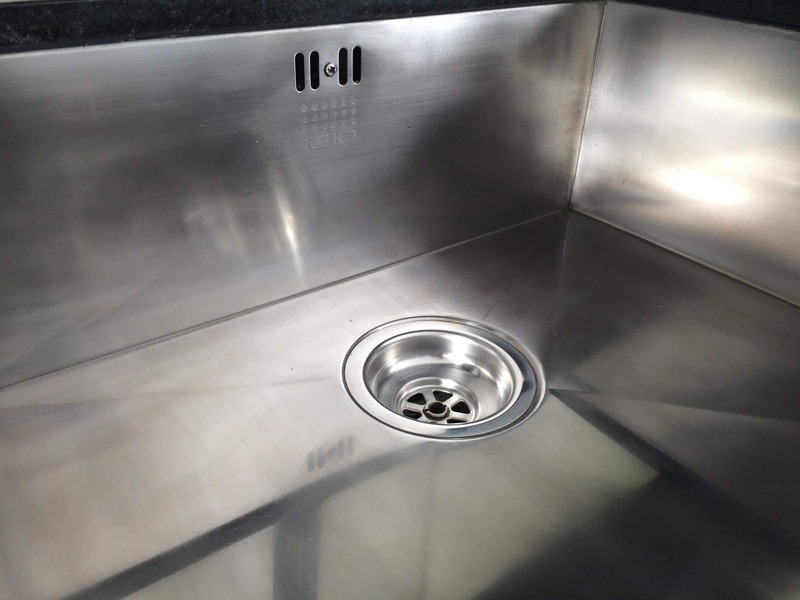 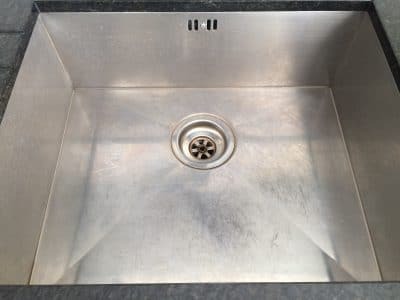 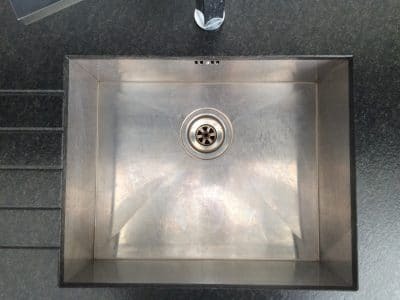 Stainless Sink restoration for a very picky client who wanted the builder to supply him a new sink because it was scratched and hazy. 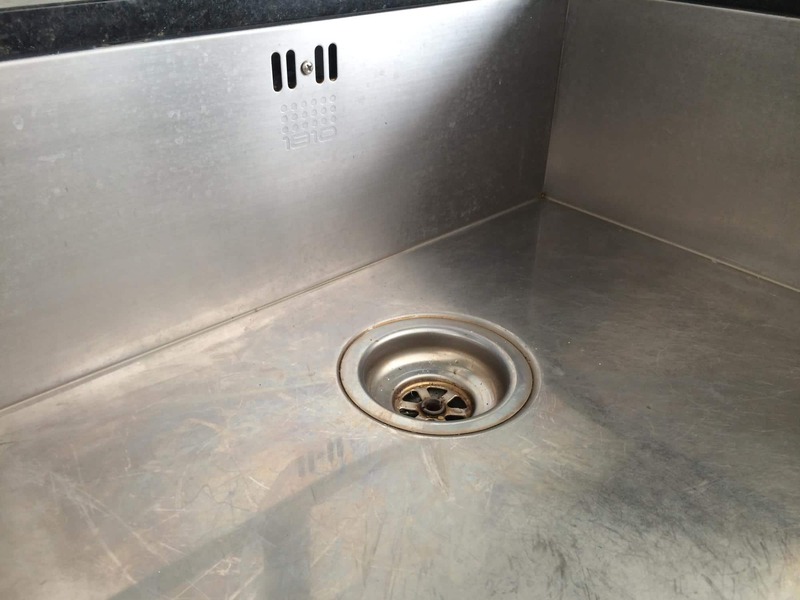 Another angle of scratched sink. Sink and trap look dirty and old with fine scratches all over. 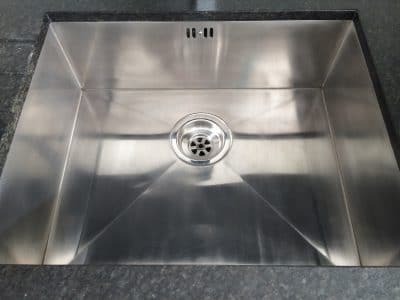 After the polishing repairs and clean up the sink looks new and the trap unused. Another angle of restored sink. 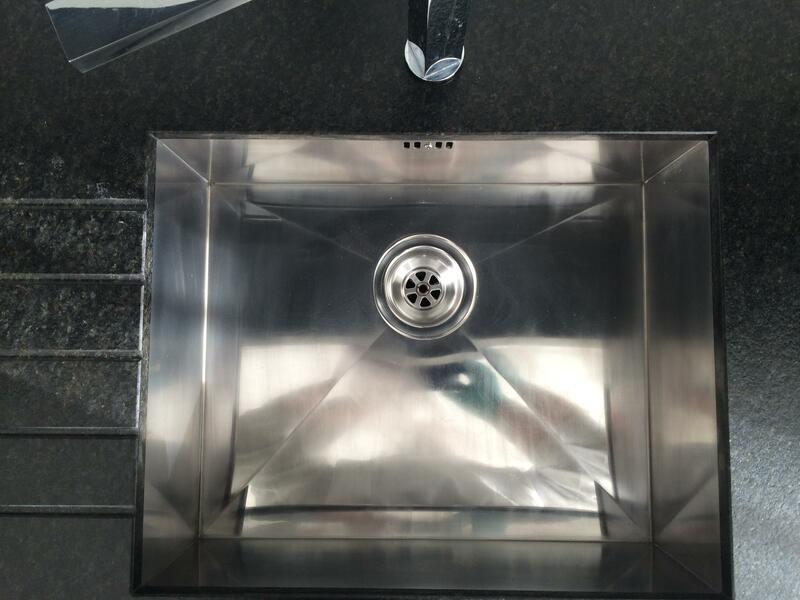 All polished and looking good as new now = no complaints.